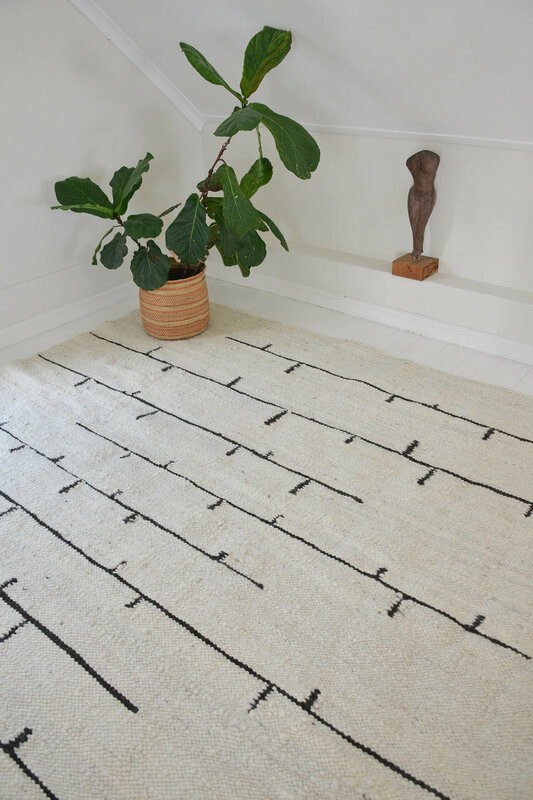 Our natural Karakul Rugs are chunky and hand woven, bringing warmth, depth and texture to any room. They are extremely durable and resilient, with this natural rug being an ideal match for wood flooring, cemcrete and natural floor coverings. We call these our ‘living’ rugs. They are chunky, handspun and woven in Karakul wool, bringing warmth, depth and texture to any room. The ideal match for these natural rugs is wood flooring, cemcrete and natural floor coverings. The wool is bound by a very long fibre and is spun and woven to ensure a rug that will last a lifetime. A natural coating of lanolin makes these rugs extremely durable. Every rug is handwoven to order. We can source precisely what you need for your home or interior design project at any dimension up to a maximum of 4m x 6m. Choose from the natural tones of the sheep, available in light grey, charcoal, chocolate, cream and speckle. Dye trials have also achieved some very beautiful colours which are available on special request. These rugs have excellent weight and substance to them with a chunky, satisfying feel. They are somewhat dense, springy and possess a very natural texture. Think raw and imperfectly perfect. Choose from strong geometrics, bold stripes, elegant patterns or just keep it plain. Get in touch to discuss what we can create for you in this wonderful, natural karakul wool.